All About Peru | This is All About Peru – History, Culture, Society, Travel, Sport and More! You may have noticed a degree of inactivity on this blog. All former posts are still relevant, but I now have a new Peru travel blog called How to Peru. You can see a list of the latest HowtoPeru.com articles in the sidebar to the right of this post. If you need Peru travel tips and information, or have a specific question to ask, HowtoPeru is the place to do it. At its height, the Inca Empire was the largest in pre-Columbian America. The Inca tribe first began to expand both its territory and sphere of influence during the reign of Pachacuti, a rapid expansion that would end just as quickly about 100 years later. The arrival of the Spanish Conquistadors, along with Old World diseases, would soon decimate the Inca civilization. The expansion of the Incas was militaristic in nature. Inca warriors were organized and disciplined, while the infrastructure of the Empire, with its roads and lines of communication, allowed Inca armies to cross the realm efficiently. 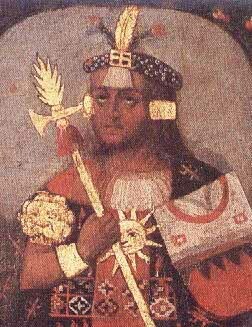 Have a look at HowtoPeru for a longer list of Inca articles and resources. While Inti Raymi is celebrated in the Andean highlands, particularly in Cusco, the people of the Peruvian jungle celebrate the San Juan festival. Both Inti Raymi, the Inca “Festival of the Sun”, and the Festival of San Juan take place between the 21st and 24th of June. Both are great celebrations to attend, although they are very different in nature. The San Juan Festival is celebrated on the 24th of June, with the days either side being set aside for more festivities. Whole families head down to the river side, taking their previously prepared juanes with them. Everyone swims in the river; as the day advances, dancing and drinking continue through the night (and often well into the next day). For more information about the festival of San Juan, have a look at The Festival of San Juan, Peru over at HowtoPeru.com. If you are travelling in Peru at this time, the San Juan Festival should not be missed – just get some sleep beforehand, as it can be a very long day…. One of the most important decisions to be made before going backpacking in Peru is whether to go solo or with a friend or friends. For some people this will be an easy decision. If you want the total freedom and challenge that solo backpacking involves, then go for it. If you prefer the security and shared experience offered by a travelling companion, then bring your friends alone for the ride. Backpacking Peru Solo or with Friends? However, if you are undecided about which course to take, have a look at “Traveling to Peru Alone or With Friends?“. This article might help you make up your mind. Remember, if you do choose to go backpacking in Peru alone, there will always be plenty of opportunities to tag along with other backpackers – you will rarely be truly alone. Learning a little Peruvian Spanish slang helps a great deal in Spanish conversation. Even an advanced Spanish language learner can struggle if he or she cannot recognize the slang words and expressions which litter the Spanish language in Peru. Take a look at Popular Peruvian Slang Words to get a head start on Peruvian slang. There are a few malas palabras included in this article – these are to help understanding the language, and are not recommended for general use! Peruvians don’t swear or curse much, and they are not likely to appreciate a bad-mouthed gringo! Update: You can now find a more complete list of Peruvian slang at HowtoPeru.com. The Inca Empire was at its height in the early 1500s. But what was happening in the rest of the world? By looking at major events across the globe circa 1500 a greater understanding of Inca society, technology and development can be gained. What was happening in Europe, Asia and Africa? Which major powers were trading with others? Indeed, which seafaring civilizations had even come into contact with each other? Have a look at a snapshot of the world during the height of the Inca Empire in the article The Incas & World History Circa 1500 at Suite101. An invitation to play football in Peru is a great opportunity to meet people and experience some Peruvian culture. Being a country of the ‘macho’ persuasion, it is more likely that a male traveler will be invited to play, but female travelers should not be afraid to join in. Learning the lingo is a great way to engage with the locals to a greater extent, be it a serious game of fútbol or a friendly kick around known as a pichanga. Read Learning Spanish Soccer Vocabulary and Phrases to get a head start. For a honeymoon with an added slice of adventure, Peru offers some great honeymoon destinations. Jungle lodges, Andean hide-aways, coastal hotspots or mystical Inca citadels, Peru has them all. It is often an overlooked destination for newlyweds, but Peru has a mysticism and romance all of its own. For a mix of adventure, culture, history and romance (all at affordable prices! ), have a look at Peru Honeymoon Destinations for some great honeymoon ideas. Tingo Maria is an often overlooked Peru travel destination. Not part of the well-trodden gringo trail, this friendly town in the Huanuco department of Peru is well worth a visit. If a traveller wants to take a break from the gringo trail, perhaps after Nazca, Machu Picchu and the nightlife of Miraflores, Tingo Maria is perfect. Hot but not sweltering, a weekend break in this interesting jungle town might just turn into a week. The people are friendly, there are plenty of things to see and do, and the tourist crowds have not yet caught on to this little part of Peru. 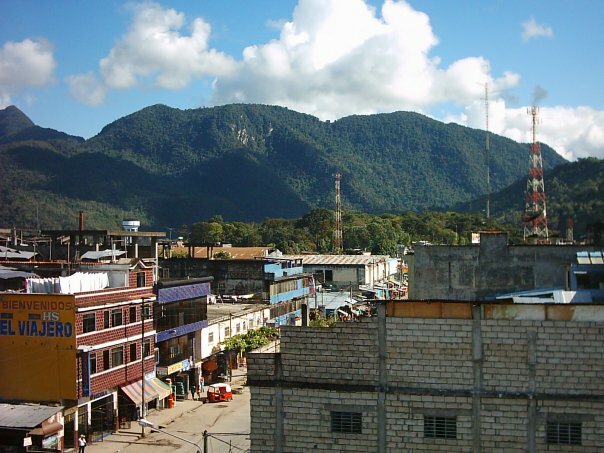 For more information have a look at Get Off the Gringo Trail in Tingo Maria, Peru or have a look at TarapotoLife for information about the Tingo Maria to Tarapoto road.